AUGUSTA, Maine — Gov. Paul LePage will propose a constitutional amendment to take the power to appoint the attorney general and state treasurer away from the Legislature and give that authority to either the governor or voters. 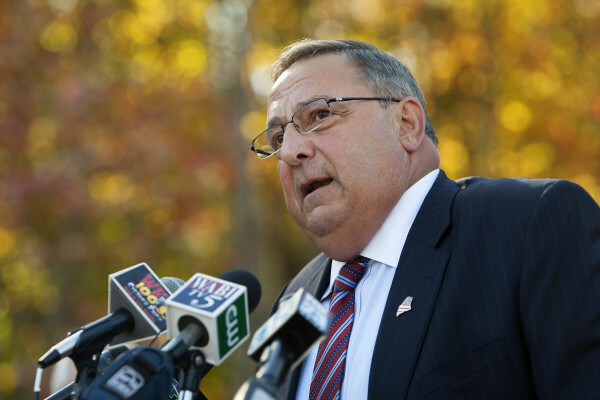 LePage said Friday he would submit his proposal to the Legislature sometime after a Republican Governors Association meeting in February. He said he wants to use the meeting to survey other governors about how the positions are filled in their states. “I really think this is a very important decision, probably the most important decision or program we’re [going to] take on in the eight years we’re going to be here, and I want to get it right,” he told reporters Friday, during a brief interview at the State House. The plan would also create a position of lieutenant governor, who would run for election on a joint ticket with the governor, be first in the line of succession and fulfill the duties currently handled by the secretary of state — another post currently filled by the Legislature. LePage said he will propose that the state treasurer be appointed by the governor and confirmed by the Legislature, but he has yet to come to a firm decision on whether the attorney general should be named in a similar process or decided by popular election, though he said he’s leaning toward the latter. News of the governor’s proposal was first reported Thursday by the Maine Center for Public Interest Reporting, but Friday marked the first time LePage explained the plan to reporters. He said he was initially driven to consider the changes because of his combative relationship with Attorney General Janet Mills, a Democrat, which has left him looking for money in his contingency fund to pay for legal representation. Mills has refused to represent LePage in his fights with the federal government on issues, including welfare reform. LePage has also been frustrated by several of Mills’ rulings, such as when she deemed his proposal to force municipalities to screen for citizenship before giving temporary cash assistance to residents who couldn’t afford life necessities, such as rent, food or heat, unconstitutional. LePage went ahead with his plan anyway, prompting a lawsuit from two Maine cities, which Mills refused to defend. LePage said that under the current system, the attorney general operates like a “fourth branch of government,” but one not elected by voters. Maine is one of three states where the Legislature elects the secretary of state, said the current officeholder, Matthew Dunlap, a Democrat. He said he suspects LePage’s plan will go nowhere in the Legislature. Efforts Friday to reach State Treasurer Terry Hayes, an independent, were unsuccessful. LePage’s plan will be a heavy lift, considering he’ll need to convince two-thirds of the Legislature to give up authority it has held for nearly 200 years. Even if he does that, voters will have to approve the constitutional amendment before it passes into law. The governor’s would be the latest in a slew of similar proposals from lawmakers dating all the way back to 1909, according to a list of proposed constitutional amendments compiled by the Maine State Law and Legislative Library. Two years ago, a proposal to popularly elect all three constitutional officers was submitted by Sen. Andre Cushing, R-Hampden, but rejected in the House and Senate. Cushing has put forward the same bill again this year, and some Republican leaders have hinted they’re interested in pursuing the issue with more vigor than was done in the past — most likely because LePage has brought a significant weight to the issue by throwing his support behind a constitutional amendment. Maine is the only state in the country where the Legislature appoints the attorney general. Nationally, 43 states popularly elect their attorneys general, according to “State Attorneys General Powers and Responsibilities,” a book published by the National Associations of Attorneys General. In five states — Hawaii, Alaska, New Jersey, New Hampshire and Wyoming — the governor appoints the attorney general, subject to approval by one or both chambers of the Legislature or, in New Hampshire’s case, an executive council of lawmakers. In Tennessee, the state supreme court appoints the attorney general. In the book, Emily Myers writes that legislative appointment — as is done in Maine — was a popular means of selecting an attorney general until the mid-19th century, when direct election of state officials came into fashion.